Where can I see Odesi furniture in real? Odesi furniture is displayed in The Hague showroom and in retail stores throughout The Netherlands. You can easily order material and color samples online. Odesi furniture should blend in your home perfectly. As each monitor displays colors in a slightly different way, colors can sometimes differ from reality. For this, we advice your to order color samples. With our color samples you can make an informed decision. By placing the samples next to your current furniture, floor and walls, you find out what the material and color combination will look like. Our products are made of natural materials. We try to minimize color differences, but keep in mind that slight color deviations are possible. What is your delivery time for the furniture? The delivery time for the our furniture is 2-3 weeks. Smaller sized products (except Flower L lamp and Level D.90 side table) can be delivered by a parcel service within 4-5 working days. As the stock can vary, please check online if your product is available. Can I order customized furniture? Can I savely pay online? Online payment through our webshop are secured according to the most modern standard: a secure SSL connection. Your purchases are additionally insured if you pay with Visa, Mastercard or PayPal. Deliveries outside the Benelux, is 100% advance payment. We work closely with transporters, specialized in luxurious furniture. The transporter will make an appointment with you for a suitable delivery day. Small items such as lamps and side tables (except Flower L lamp and Level D.90 side table) will be shipped by a Parcel delivery service. You will receive a track & trace code to follow your delivery process. 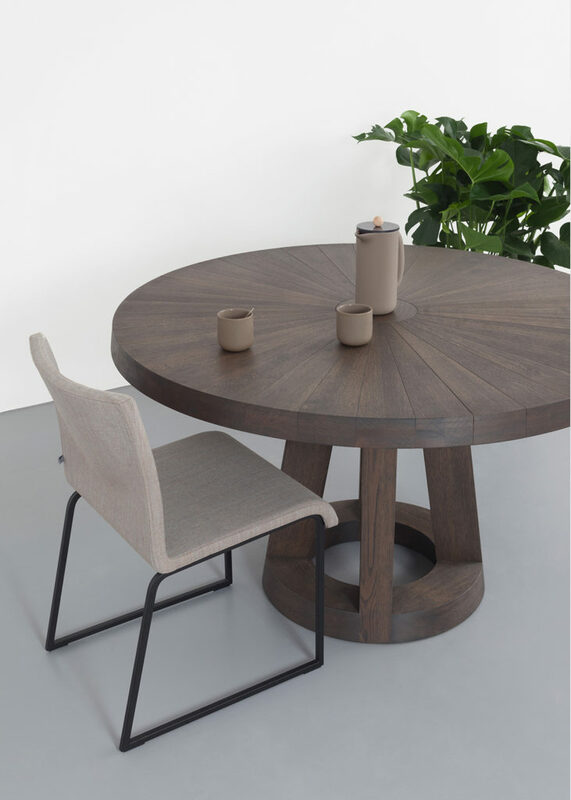 The assembly service for the dining tables is exclusively for delivery to the consumer who have ordered online. How can I maintain an Odesi furniture? How do I order maintenance products? We offer 2 year warranty on all Odesi products. This warranty is an addition to the already applicable legal conditions. During regular use our furniture should not show defects besides regular wear and tear. If our products show defects, we will replace or repair the product free of charge. The warranty does not cover damage that is caused by inconsiderate use or a harmful environment. Exposure to heat and strong changes in humidity levels can cause irreversible damage to natural products as wood. Wooden furniture are best kept with a humidity level in the 45-60% range. Solid wooden products are best kept with an air humidity level between 45-60% range. This prevents cracks in your wooden furniture. A natural product such as wood can slightly shrink and expand, but this the character of a natural product. What should I do when something is wrong with my Odesi product? What can I do if I have a problem during delivery? When receiving your furniture, we would like to point out that you inspect the furniture properly before the carrier leaves it with you. If something is wrong with the product, please contact us immediately. We will provide you a suitable solution. How is my personal data dealt with? Like all companies, Odesi also adheres to the new EU Privacy Act that came into effect on 25th May 2018. Every newsletter that you receive from us contains a link with which you can unsubscribe.